Here is a watch designed to melt the heart of any oil magnate, with an oil well pumpjack in constant motion on the dial. Louis Moinet’s DERRICK Tourbillon is a horological world first, combining the regality of an intricately-engineered tourbillon with the powerful majesty of a fully working representation of an oil derrick. The unique derrick mechanism dominates the upper half of the petrol blue dial, depicting all the iconic parts of a traditional oil well pumpjack (commonly known as a nodding donkey), including (from left to right) the distinctive horse head, walking beam and samson posts, as well as the pitman arm, counter weight and crank. The pumpjack, crafted in brushed aluminium, is in constant motion as it completes a pumping cycle every 15 seconds. 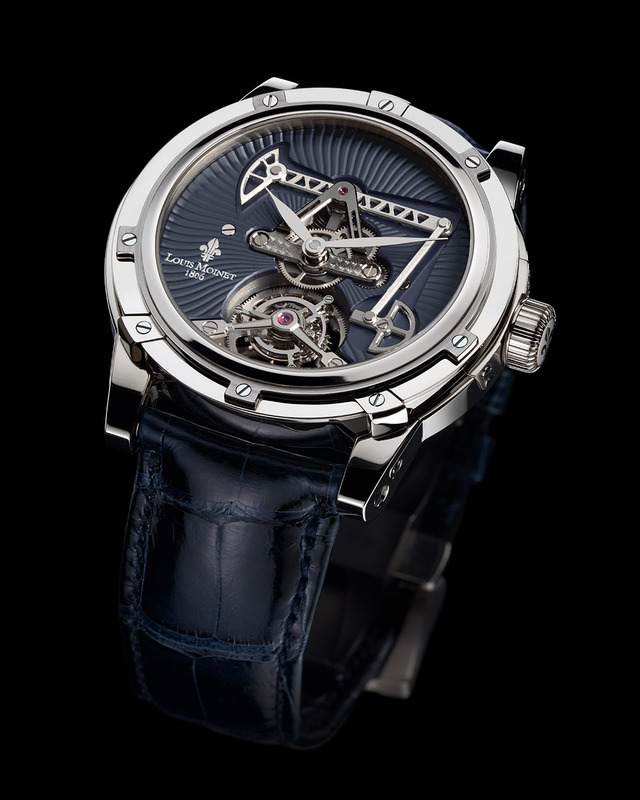 It is visually counterbalanced by the 60-second tourbillon at 6 o’clock, which is supported by a distinctive two-armed bridge. The potent combination of the oil derrick and the tourbillon perfectly complements the silvered central hour and minute hands. The DERRICK Tourbillon is presented in an exceptional 18K white gold case composed of 59 different components and equipped with the Louis Moinet signature crown guard. The latter invention consists of an independent stem integrated within a watertight system and held with a plate secured by four screws. It represents a major advantage in facilitating servicing, compared to traditionally soldered stems. The view through the DERRICK Tourbillon display-back is almost as spectacular as the dial side, with the ‘octopus spring’ of the winding and setting mechanism taking centre stage. This ingenious component is effectively three springs in one – pull-out piece spring, lever spring and click spring – all radiating from the centre like the swirling legs of an octopus. 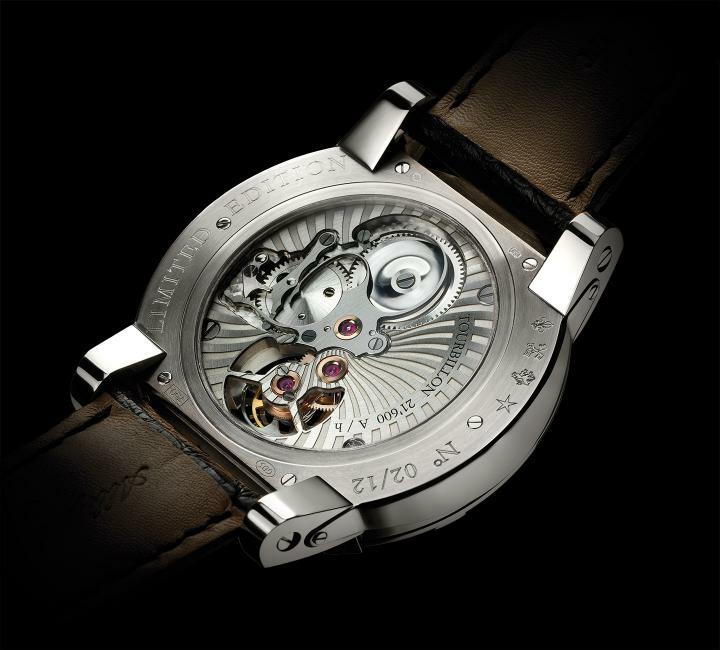 The movement is engraved with Louis Moinet’s Côtes du Jura motif, echoing the decoration on the dial-side. The DERRICK Tourbillon is available in an exclusive limited edition of 12 pieces.